Topical treatments such as paw paw cream and aloe vera gel are excellent natural remedies for psoriasis and eczema that work well. Skin experts say you must also manage your stress levels if you really want to beat these disorders. Lest's start with pawpaw cream and aloe vera gel. Most people have no idea that pawpaw (papaya) and aloe vera are two of nature's most powerful and miraculous “cure all” plants. Experts agree that the health promoting effects of these plants are nothing short of astounding! When used as a topical treatment for skin disorders, including psoriasis and eczema, they work an absolute treat. Not only do they help to get rid of the dryness and redness of the skin, they also help to alleviate the awful itchiness considerably. For pawpaw creams, there are lots on the market (and plenty that claim to contain high amounts of pawpaw), but sadly, most are simply chemically filled rubbish. Pawpaw cream must be completely natural - no additives allowed! If you’re looking for a reputable brand then you can find one here. For aloe vera gels it’s exactly the same – no chemicals or artificial additives at all. This means most of your run-of-the-mill skin care companies are out (their products are lethal chemical cocktails anyway), and instead, you'll need to purchase from legitimate companies who actually produce real natural products. You can find some here if you're interested. Your local health food store should also be able to help you out with this. Apple Cider Vinegar (ACV): ACV is a powerful disinfectant and is highly soothing to all types of skin inflammation. Even the Psoriasis Foundation agrees that apple cider vinegar is a good treatment for psoriasis and eczema, particularly for helping to relieve the redness and itching. Mix up a batch comprised of 1 cup of ACV to 1 gallon of water. Use this to make a cold compress by first soaking a rag or cloth in and then apply to the skin. If you have psoriasis on your fingernails or toenails you can also soak these in full strength apple cider vinegar for an effective treatment. Epsom Salt and Baking Soda: Taking a bath with some Epsom salt and baking soda will help bring quick relief to your psoriasis and eczema. They wont just help relieve the horrible itching either, they'll also help to bring the swelling down and heal any skin lesions. Olive Oil: An old folk home remedy for psoriasis and eczema involves mixing two teaspoons of olive oil in a large glass of milk, then adding this to a nice lukewarm bath. Or if you have psoriasis on your scalp, simply massage some warm olive oil onto the affected areas, which in turn, softens the skin and makes it much easier to remove the scale. Researchers at the General Infirmary in Leeds, England, conducted a double-blind study on ten patients with severe psoriasis for eight weeks. 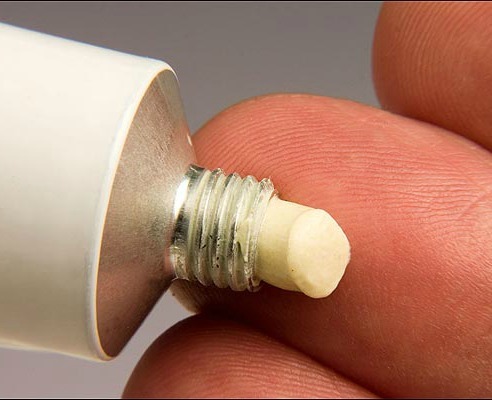 Researchers applied 0.025 percent capsaicin cream to some of the patients' lesions four times daily. After six weeks, seven out of ten patients who received the capsaicin showed marked improvement, and even those who did not show any obvious improvement said that the treatment had relieved their itching. (Capsaicin may be too irritating for those with eczema). ...It's important to note here that some psoriasis and eczema sufferers find that capsaicin creams can actually aggravate their symptoms, not improve them, so you'll definitely need to test this remedy out on yourself first to see if it's okay. Stress can be a life threatening problem if you let it get a hold of you. In fact, it's probably killed more people in the last 50 years than all of the wars and plagues in history put together! But there are actually two types of stress… eustress and distress. Distress is the bad one. If you have a highly stressful job or you worry a lot, then unfortunately, you are probably destined for a short life (sorry but this is the truth). Distress also creates unwanted health problems such as psoriasis and eczema. The reality is that most people who have this disorder usually work in highly stressful jobs or habitually worry about anything and everything! If this is you then you need to fix it before it’s too late. Change jobs or find time to meditate and relax every day. Remember, you’re no good to anyone, including yourself, if you have a stroke - or worse - end up six foot under! Eustress, on the other hand, is actually very good for us. Regular, moderate exercise is one form of eustress that's healthy, as long as you don’t overdo it. When you exercise your body releases chemical compounds in the brain called endorphins, which have a mood stimulating effect. This means you naturally feel happier. Moderate exercise is also known to help with skin conditions such as eczema and psoriasis because when you sweat, you’re body naturally releases toxins and this cleans out the pours of the skin. Avoid getting sick—As in many diseases connected to the immune system, if you have psoriasis, don't allow yourself to get rundown. Eat foods rich in vitamin C, vitamin B6, vitamin E, and beta-carotene. Control stress - Since stress can provide the spark that fuels symptoms, stress relief should be a high priority. That's easier said than done, especially since the pain and symptoms of the disease are, in themselves, stress-inducing. But remember that exercise, meditation, biofeedback, yoga, and psychological counselling can all aid in the relief of stress.